This proposal has been approved and the Eclipse Kuksa project has been created. Eclipse Kuksa provides technologies across the connected vehicle domain. Automotive systems especially lack open technologies that are accessible to developers and enterprises focusing on IoT (Internet of Things) systems or cloud applications. Eclipse Kuksa closes these gaps and provides the comprehensive ecosystem to address related challenges with the help of platforms for (a) in-vehicle, (b) cloud, and (c) connected vehicle applications development. The publicly funded European ITEA research project APPSTACLE forms a basis for addressing such challenges. Eclipse Kuksa will further bring the ecosystem into the Eclipse community in order to widen its applicability and usage amongst and beyond its project partners such as Ericsson, Bosch, NXP and others. The name Kuksa has its origins in a carved wooden mug from Finland. A Kuksa, with its individual character, has to be shared with and eventually bequeathed by close friends and cannot be bought for oneself. This sharing, as well as the connection that extends across generations, is meant also to reflect the spirit of the open source Eclipse Kuksa project. Currently, vehicle connectivity applies to mobile networks (and related infrastructure such as clouds, servers, etc. ), other vehicles, and local infrastructures (traffic lights, local entities cf. edge computing). Although proprietary approaches provide partial solutions, developers have no access to either open source solutions nor comprehensive ecosystems that allow common connected vehicle development initiatives across suppliers, original equipment manufacturer (OEM), and tooling enterprises. Eclipse Kuksa brings comprehensive connectivity solutions to the public while combining diverse technologies of vehicle, IoT, cloud, and security domains. While safety is out of scope, Eclipse Kuksa addresses maintenance through providing, but not applying, OTA updates or upgrades, Cloud, and in-vehicle applications, as well as state-of-the-art platforms and technologies for in-vehicle communication and data transmission. Demonstration applications will be made available, but sophisticated cloud and in-vehicle applications are generally subject to community or closed-source development processes. Working with this premise, Eclipse Kuksa will support all the necessary development technologies required for such applications. This ecosystem will provide a comprehensive environment across various frameworks and technologies for (a) the in-vehicle platform, (b) the cloud platform, and (c) an app development IDE - that is, the complete tooling stack for the connected vehicle domain (see Figure 1 below). Essential to this environment will be the capabilities for collecting, storing, and analysing vehicle data in the cloud as well as the transmission of diverse information such as cloud calculation results (e.g. improved routing), software maintenance updates or even complete new applications. While many IoT solutions exist in the Eclipse IoT ecosystem, Eclipse Kuksa combines the necessary existing technologies and fills the gaps for the specific requirements of the connected embedded real-time nature of the automotive domain. Eclipse is widely used in the automotive software industry as well as the IoT domain. Eclipse Kuksa will add value to the Eclipse community by establishing a connected vehicle ecosystem consisting of three major platforms. The ecosystem will be a basis for building customized, proprietary, open- and closed source systems. The Eclipse Kuksa project expects to benefit from wider visibility in the community and an extended open collaboration with interested parties. All committer agreed to publish under the EPL. In-Vehicle developments will adapt to Automotive Grade Linux (AGL) that is partially LGPL and GPL. The Eclipse Kuksa developers will clarify if AGL code can be fully defined as a dependency i.e. that no AGL code must be included in Eclipse Kuksa. However, an adapted AGL build will be secondary licensed such that the combined work will be licensed under the GPL-2.0, and then distributed as combined work under the GPL-2.0. AGL content that includes a secondary license clause will link directly with content that is licensed under the terms of that secondary license (see EPL2.0 FAQ). Secondary licensed build results are not intended to be hosted at Eclipse. Eclipse Kuksa will combine the technologies mentioned in the 'Why Here?' section in order to establish the comprehensive ecosystem that securely allows using vehicle data and transmitting generated cloud results. Concurrent work packages thereby address connectivity challenges, demonstrations, as well as cloud and in-vehicle implementations. By Q4 2018, the infrastructure should be complete and by Q4 2019 the ecosystem should be fluently working with the demonstrators and libraries and APIs should allow tailoring cloud applications towards individual needs. 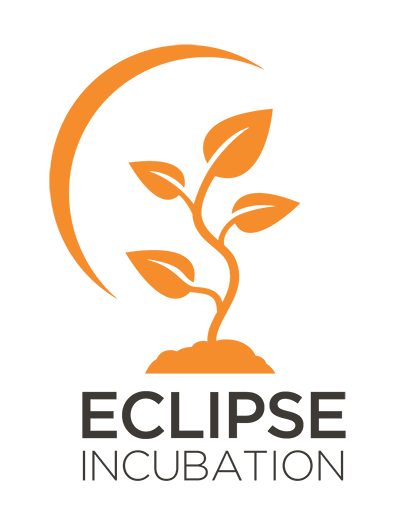 In order to grow the community around Eclipse Kuksa, its development will be spread across research publications at conferences, workshops, booths, or similar events as well as newsletters around the cloud, IoT, and automotive domains. 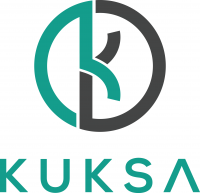 Consequently, interested and related developers will clearly notice Eclipse Kuksa's benefits and hopefully participate at its open source basis. Already its close relationship with other projects will strengthen Eclipse Kuksa's dissemination. Additionally, the involved partners of the publicly funded APPSTACLE project will utilise Eclipse Kuksa around their developments and include it for customer related projects.